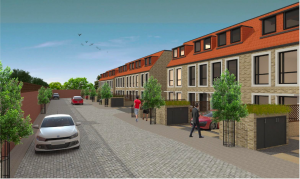 Polyteck Group, a leading construction, development and facilities management business, has won a two-year contract with LL & GCPD Developments for a new sustainable residential development in Burnt Oak, Greater London. 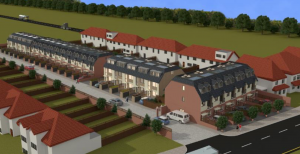 With a total project cost of Â£6.4m, the scheme will see the transformation of a vacant former industrial estate into a collection of 24 sustainable homes that will regenerate the local community. The site has been designed by Adam Roberts with security and sustainability at its core and Polyteck will utilise a range of sustainable measures during the construction phase. These include 100% energy efficient lighting; use of natural ventilation and heat recovery (NVHR); and a glazing design that makes appropriate provision for overheating. Additionally, water efficiency and solar gain measures will also be taken while materials used will be A- and B-rated according to the BRE Groupâ€™s Green Guide to Specification. Polyteck will be responsible for the demolition of the existing building, pile foundation work and the construction of different types of accommodation that includes a mix of three- and four- bedroom homes with associated private parking spaces and refuse store. Located in Zone 4 and just 25 minutes from London Kingâ€™s Cross, Burnt Oak is popular with commuters, while the new housing development on Bacon Lane also benefits from being close to stations on both the Northern and Jubilee Tube lines. The Polyteck Group is a leading UK headquartered construction and facilities management organisation. Its subsidiary, Polyramek, won the Theo Paphitis Small Business Award March 2014 and Green Deal & Eco Award London Regional Installer of the Year 2014 and 2015.